How many times have you heard someone say, “I’m not good enough.” or even worse, “You’re not good enough.”? It never ceases to amaze me that people are so inclined to accept the idea that they are unworthy or unable to do the thing that they are compelled to desire due to previous programming and mob mentality. Why would someone want you not to achieve your highest and best? This is one of the components of what I refer to as, “The Biggest Conspiracy,” which includes a method for society to control a growing population with the ability to herd and manipulate them with as little effort expended. One way to do this is to conceive of and promote a culture and system(s) of belief in order to have the members of your society to be easily manipulated en masse. If you’re setting up this culture and, let’s assume that you are one of the more wealthy individuals in your society; as such, you may like to control the individuals who maintain a certain degree of wealth within your society. In this way, you can create two divisions within your society, which could be referred to as leaders-and-followers, royalty-and-worker-bees, rich-and-poor, etc… and if you would like to be considered a progressive or “free” society, create a system to support the poor folks who might aspire to be not-so-poor folks. Create colleges and universities to create (and control) the income-earning ability of the individuals within your society, and by all means, lead them to believe that if an individual does not have the proper advanced schooling, they are not qualified to aspire to anything beyond a mediocre working wage or position within your society. To make this system even more effective, create information sharing components or media that will allow you to communicate messages to your society with as little delay as possible. Having control of the media (which should be wielded by slight-of-hand; certainly you would not want your subjects to actually think that you were controlling it) will allow you to quickly manipulate the mindset of the society as a whole. That inner voice is telling you the truth. You are a child of God (interpret that anyway that you want) living on a planet full of resources and you – Yes You – are the most valuable resource of all. You came to this planet with a specific purpose and message to share. And the truth is, you would not have had the thought that a thing could be possible for you, if it wasn’t. In fact, I believe that if you were given a thought of a possible future for you, it is actually a clear vision of the future, if only you could remove whatever stands between where you are in this moment and the vision that you have been given. 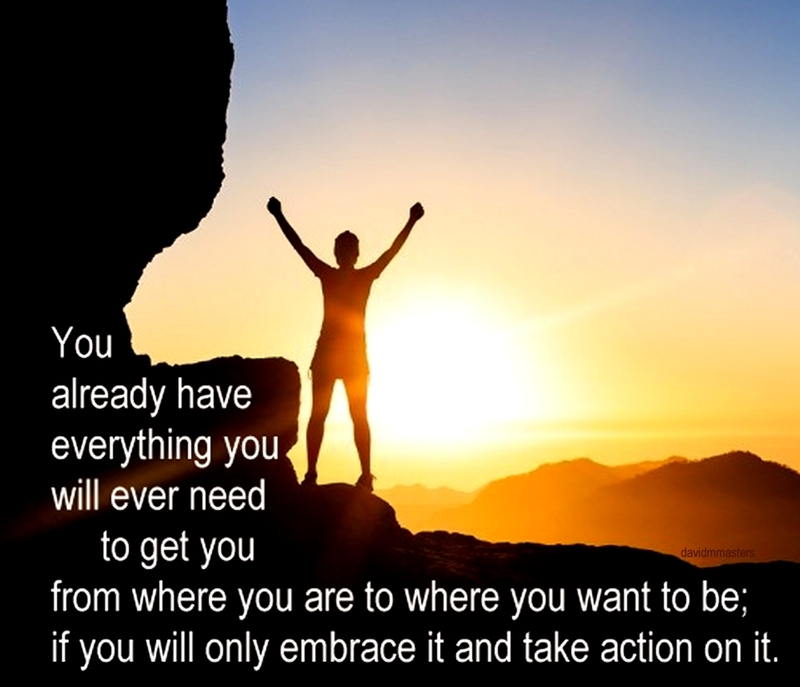 You already have everything you will ever need to get you from where you are to where you want to be; if you will only embrace it and take action on it. Isn’t it time you considered opting out of the herd? Think about it… as you read these words, you know that it is true; there is a better life out there waiting for you. Next Next post: What Do You Do When Facing Difficulty?